Lifeforce is the fourth album by Griffin, an epic metal band from Norway. And now, it's getting difficult to write anything more about this quintet because what they do has already been accomplished by many other power metal bands before. You get a dozen very melodic songs with catchy hooks that have been excellently produced by King Diamond guitarist Andy LaRoque. What nevertheless sets them apart from other power metal bands is that the guitar isn't always played to cleanly, setting parallels to early NWOBHM bands. Sometimes the songs have a more progressive side (Lifeforce), sometimes Griffin try to play harder (Dungeon). Building A Future even sounds like a metal hymn and with Leylines we get the mandatory ballad. Even if some tracks really aren't that bad and Griffin really trying for some variation, a couple of tracks (Premonition, Utopia) suffer from poor song writing. 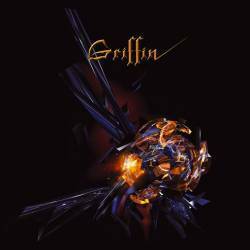 I have heard so much power metal lately that to surprise or entertain me, a band really has to be exceptional which surely isn't the case for Griffin. They are good, and metalheads will probably like it. But don't expect anything new on this record!